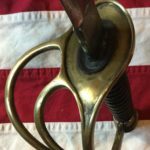 This entry was posted in Civil War Edged Weapons, Civil War Stories, Union Weapons and tagged 1862 cavalry sword, Ames Cavalry Sword, Cavalry sword, civil war swords, Civil War Weapons, Model 1860 Cavalry Sword, Union Saber, union swords by Eugene West. Bookmark the permalink. 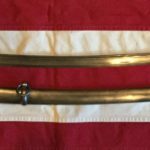 I have am Ames Civil War Cavalry Saber with scabbard for sale. 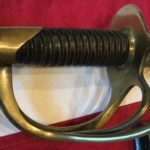 The sword is in good condition, the scabbard if fair with a few dents. Pictures below. 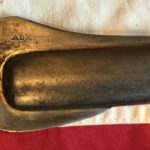 I also have a dug civil war era boot pistol that appears to be a .50 caliber. 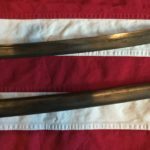 Susan, I’d need to see better images of the swords before I could make an offer…….is there a dollar amount that you have in mind for the swords???? Good evening. I was hoping I could garner some information from you. 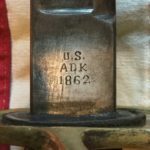 I recently found out that there is a model 1860 Ames cavalry saber with 1861 stamped on it. 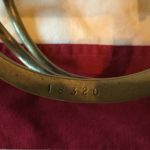 My ancestor was in the 3rd Virginia cavalry. 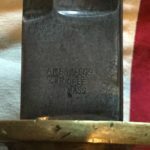 Was this saber issued to both sides of the war or was it strictly a federal item. Any information you can provide will be appreciated. 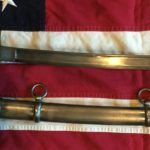 Michael, The Ames Sword could and would have been used by both Northern and Southern troops, especially early in the war when many of the officers and enlisted cavalry men would have already been serving in the Federal Army. 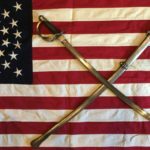 Obviously if you were in the Federal Army and you defected to the Southern Army you would have kept your sword, uniform and other accoutrements. 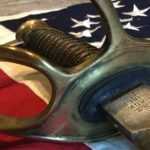 Also because the South was without resources due to them being a agrarian culture Southern Troops would scavenge the battlefield for anything worth repurposing…..I.E. 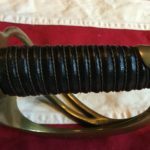 swords, weapons, food, shoes, jackets and just about anything else. And let’s not forget Northern troops that were taken prisoner, Southerners would have been stripped them of there swords, rifles, side knifes and just about anything else. 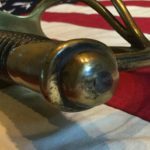 So yes the 1861 Sword May have been used by Southern troops.